The first-of-its-kind scientific breakthrough could enable the development of protein nanomachines that could help diagnose and treat disease, allow for more exact engineering of cells and perform a wide variety of other tasks. “This technique makes it possible for you to design proteins so they come together exactly how you want them to,” said Zibo Chen, a graduate student at the University of Washington and lead author of the paper, which was published Dec. 19 in the journal Nature. The research heavily relied on the technical expertise of Ohio State’s Resource for Native Mass Spectrometry Guided Structural Biology, an NIH-funded center led by Vicki Wysocki, professor of chemistry and biochemistry and Ohio Eminent Scholar. 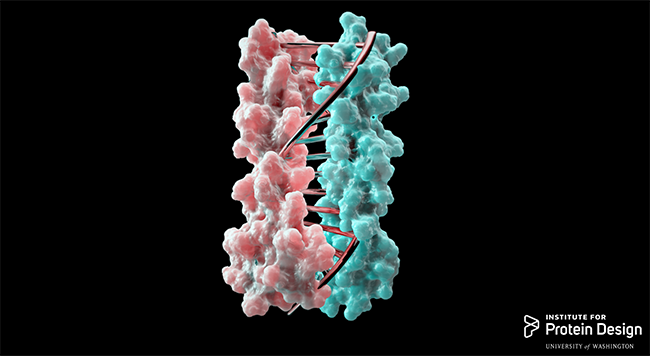 Typically, researchers interested in designing biomolecular nanomachines use DNA as the primary component, since complementary DNA strands come together in a highly predictable manner determined by base-pairing. The team developed protein designs that produce complementary proteins that precisely pair with each other by a similar approach, Busch explained.